The Advanced Visualization Laboratory (AVL) at the National Center for Supercomputing Applications (NCSA) at the University of Illinois at Urbana-Champaign recently worked on A Beautiful Planet, the latest 3D space documentary from acclaimed filmmaker Toni Myers and IMAX Entertainment, made in cooperation with NASA, which premiered in New York City on Saturday, April 16 at the AMC Loews Lincoln Square 13. AVL, led by Director Donna Cox, produced 6 minutes and 20 seconds of visualization, including two dramatic astrophysical voyages: the opening journey into the Milky Way galaxy to the location of our Sun and the closing scene, a flight from the International Space Station to the Earth-like exoplanet K-186f, nearly 500 light years away from Earth. Cox served as visualization producer and designer on the NCSA scenes of the film. AVL previously worked with Toni Myers and the IMAX team to create scientific visualizations for the award-winning IMAX® documentary, Hubble 3D, from Warner Bros. Pictures and IMAX Entertainment (2010). 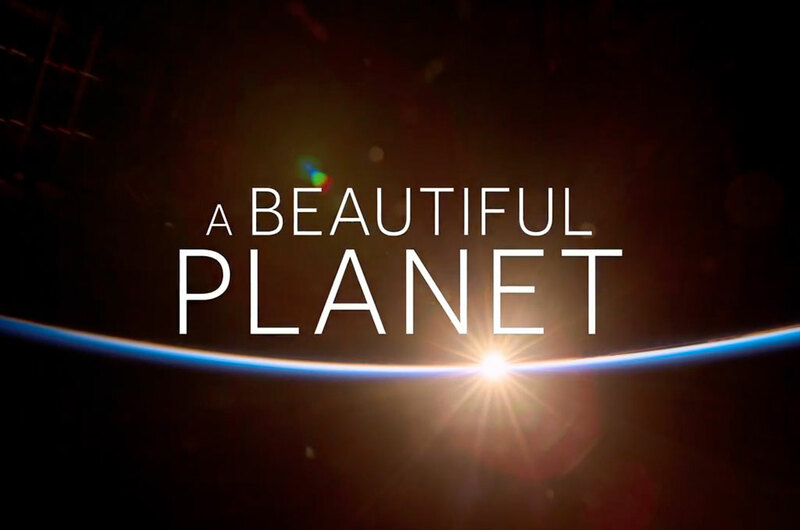 A Beautiful Planet is a 46-minute film documentary that gives moviegoers a never-before-seen glimpse of Earth from space and provides an increased understanding of our planet and galaxy. In cooperation with NASA, the movie captures footage filmed by the astronauts aboard the International Space Station. "There's no place like Earth, and the movie tries to capture that truth," said Cox. "We used a virtual camera, advanced computing, and scientific data to provide a unique voyage to a planetary system in our galaxy far away. NCSA's AVL focuses on scientific accuracy while cinematically presenting data." AVL team that worked on the film includes: Robert Patterson (visualization designer/camera), Stuart Levy (visualization/astronomy), AJ Christensen (visualization design/effects), and Kalina Borkiewicz (visualization development). NCSA welcomed the IMAX production team—Myers (Producer/Director), Judy Carroll (Co-Producer), and Hugh Murray (Stereographer)—to NCSA on two occasions, along with astronomer Dr. Frank Summers from the Space Telescope Science Institute, to develop the concept and treatment for NCSA's contribution to the film. The team used AVL's 4,096-pixel 3D stereo virtual environment and visualization software to collaboratively design the scenes for the IMAX screen. Then they employed their advanced computing environment to develop and refine the 4,096x2,880 resolution IMAX 3D scenes. In the end, AVL delivered over 9,000 stereoscopic image pairs for the film. "It was a great collaboration," said Patterson. "NCSA was able to provide the IMAX audience with immersive 3D visualization journeys using a host of scientific data to help viewers understand our place in the Milky Way galaxy." The film will be shown to the public exclusively in IMAX® and IMAX® 3D theaters beginning April 29.